If you know a storm is about to hit your area, it’s time to get prepared. Many homeowners don’t realize they can actually do quite a bit to prepare for incoming storms. 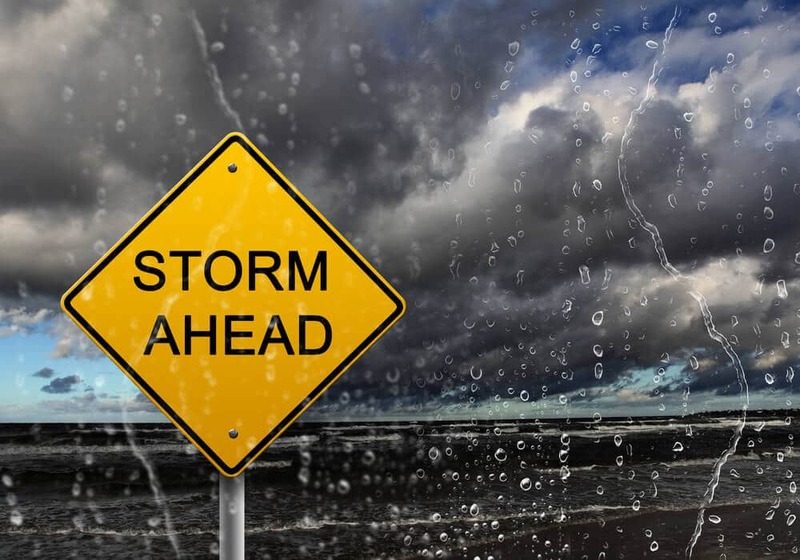 Not only will preparing for storms minimize the amount of damage your home sustains, but it will also help keep your family safe inside during this time. The truth is that you can never completely prepare for a storm. Sometimes things happen that are out of your control. The weather is one of them. You can still prepare as much as possible prior to a storm coming. While this won’t completely prevent damage from occurring, it will prevent major issues from developing at your home as a result of the storm. Here’s what you need to know to get started. Do you have trashcans in your driveway? These can become a flying hazard during a tornado or hurricane. It’s important to secure these to the side of your home or inside your garage. What about toys in your yard? Bicycles and other toys can be tossed around in high winds and cause damage to the side of your house or to vehicles. Make sure you put these away safely before a storm comes. It’s also a good idea to secure any other loose objects, such as planters or flags. Talk with your kids about what to expect when a storm comes. If they’ve never been in a storm before, they might feel scared or nervous when they begin to hear the sounds a storm makes. Unfortunately, many small children feel nervous during storms. To prepare your kids, you can read a book together about a family that faces a storm. You can also walk them through the process of staying safe during the storm. For example, if you’re planning to go into the basement during a tornado watch, you can show the kids where you’ll hang out during that time. It’s also important that you stock up on non-perishable foods and plenty of water. These will help keep your family hydrated, safe, and fed during the storm. Remember that your power might go out, so aim to stick with foods that won’t go bad if you don’t have a fridge for a couple of days. Finally, understand that you may face storm damage clean up. Unfortunately, this is a reality of storms. Sometimes, even the most prepared families will have to deal with storm cleanup. Even if you prepare your home, you may still experience damage to your roof or the sides of your house. If you are in an area with flooding or hurricanes, you could experience water in your home. Standing water is dangerous to the structure of your house, so it’s important that you seek help for removing storm damage and standing water as soon as the storm is over. Make sure you hire a professional with plenty of experience to help you repair your home. This way, you’ll know that your house is in good hands and someone can take good care of you. Never try to fix damage yourself. Instead, trust your home repair needs to a home restoration company.